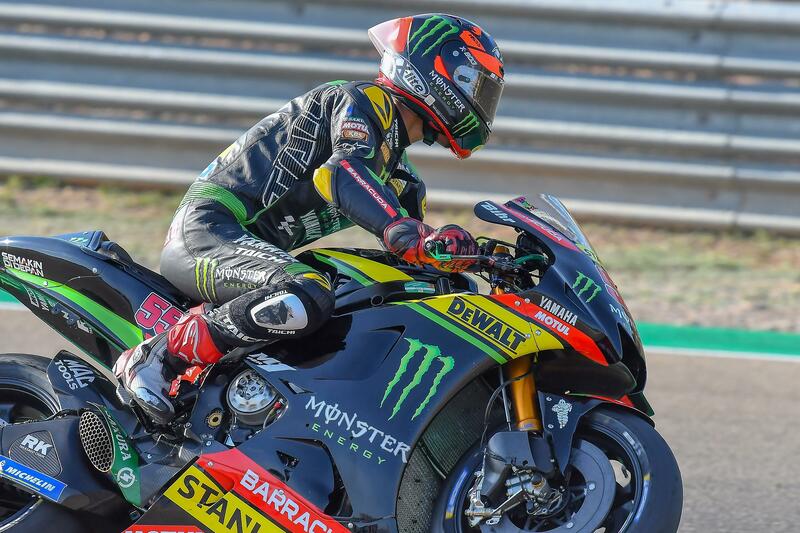 Monster Yamaha Tech3’s Johann Zarco delivered a strong performance during Qualifying for the Aragón Grand Prix this weekend. The French star got the best out of himself and his Yamaha YZR-M1 today and missed out on Q2 by just 0.106 seconds, following a huge improvement after a tough opening day at the Spanish circuit. He will attack the 14th round of the season from the fifth row of the grid. Hafizh Syahrin showed an equally resolute uphill Saturday. The MotoGP rookie from Malaysia lowered his FP1 time from Friday by incredible 1.719 seconds and finished Qualifying one in ninth position. Therefore, the Monster Yamaha Tech3 rider has to tackle the Aragón round at 14.00 local time tomorrow from the seventh row, after he concluded Saturday directly behind Yamaha colleague Valentino Rossi.